Now, this one is a no-brainer. As in, for anyone remotely into what happened in the twentieth century in the realms of design, architecture, social movements and freethinking, this tome is a must-have. 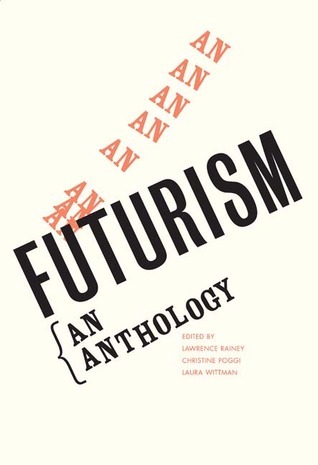 Throw all of that into a blender, pepper it with any medium of artistic merit – be it paintings, sculpturing, designing, film, fashion, literature, music, et cetera and you got yourself the quintessence of what is considered “futurism”. The probably most prominent and well-known emission from said period is Filippo Tommaso Marinettti’s Futurist Manifesto, which did not lack impact. In essence it was a declaration of war with everything traditional and advocacy of everything new and original – at any cost, ridding the world of anything that would hold up progress. Needless to say that such an ambitious and remorseless approach resonated with representatives of all facets, including Italian fascists. Originally published to honour the hundredth anniversary of the movement, this is the ultimate comprehensive anthology of all relevant texts – be it manifestos, poems, instructions, etc. – pertaining to the genesis of the futurist avant-garde movement. What makes it specifically appealing is the accompanying visual component illustrating sketches and the myriad of voices that enable a holistic approach for the reader to form his own opinion and interpretation. A one-stop book that works on many levels and that can be used for many purposes – research, referencing, inspiration or sheer enjoyment.